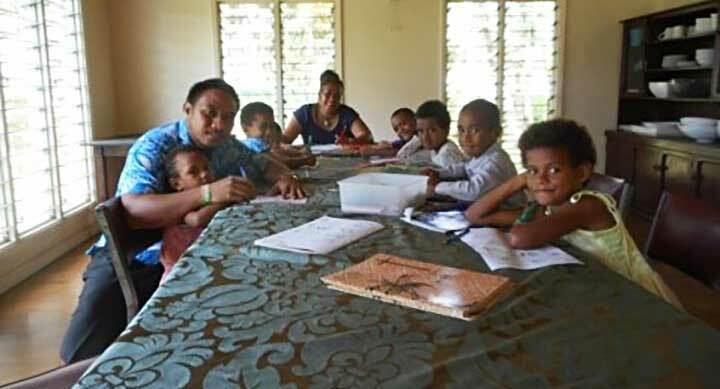 Suva, Fiji Islands, 24 March 2019 -- As the new academic year begins in Fiji, the Catechetic classes (Sunday school) have also started. It is wonderful to see the young come from our parish centres in Muanikoso, Makoi, Wainibuku, Nakasi and beyond. 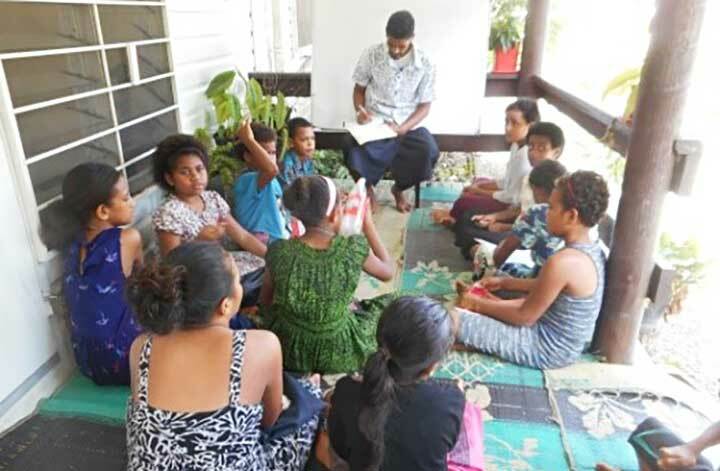 The whole formation community of Don Bosco Suva is involved, each one of us in a different location, due to the lack of suitable space in the new parish compound. Our postnovice Silao is assisted by Tasi, a volunteer from St John Bosco Parish. The class is on the Scriptures. Most of the students are in High School and they normally come to Mass at Don Bosco Formation House with their parents and family. Cl Foua teaches the younger boys and girls. Today, the class is on the Gifts of the Holy Spirit. 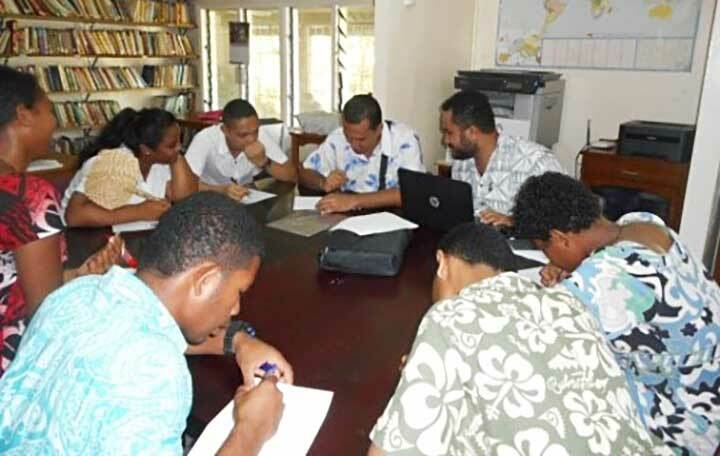 In all the classes, the majority of students are from Fiji, some from the island of Rotuma and a good number from Kiribati. Cl. Damian teaches the catechism on the veranda of the Don Bosco House chapel. Cl. 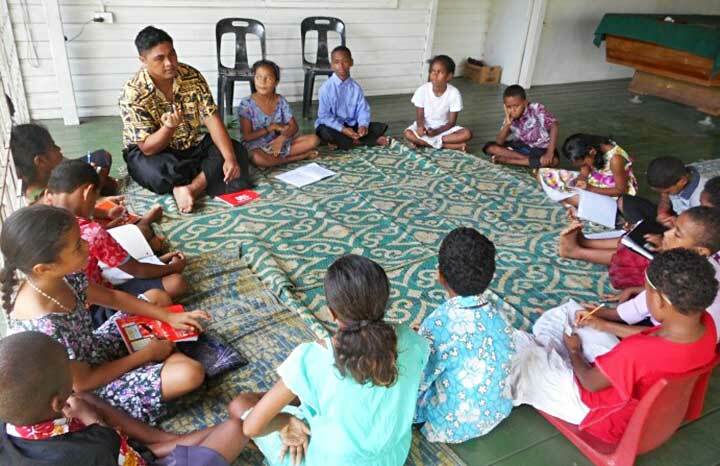 Sinapati conducts his class in the formation house library - study hall. These are the senior students and most of them have been coming regularly to Don Bosco for Mass and Sunday Catechetics class. The little ones have their class in the community dining room. Taking this level is Cl. Afi’a assisted by Kitty, another faithful and regular volunteer of our Sunday program and pastoral activities for the youth in the area. We are happy to accompany our young people in their journey of faith and at the same time become better prepared for our education - pastoral ministry in the future!